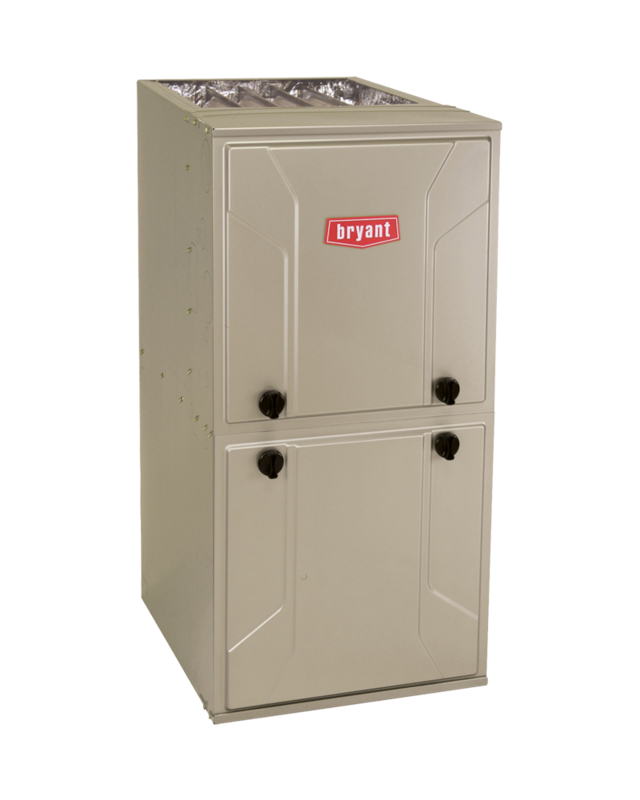 For reliable heating when you need it the most, depend on the popular single stage Bryant Preferred gas furnace. While you’re feeling comfortable indoors, you’ll also feel good knowing your heating system is up to 96.2% efficient. AFUE up to 96.2% provides maximum efficiency in a single stage furnace. Surprising efficiency in a basic furnace model from Bryant, providing great value on purchase and operation. Available for use with natural gas or propane. One-stage gas valve operates in an “on/off” mode. When the room has reached the targeted temperature, the gas valve shuts off. The 925 S features an electronically controlled multi-speed X-13 blower motor. This blower provides optimized airflow for great circulation while using less electricity for the same amount of air movement. This allows for greater comfort and more energy efficiency vs traditional single stage furnaces. Bryant provides excellent warranty coverage of the 925S that lets you enjoy your comfort with confidence. 10-year standard parts limited warranty must be registered within 90 days of installation through Bryant. You wouldn’t want us to. 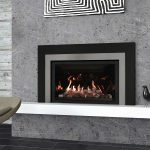 Every home is unique and selecting the right sized furnace depends on factors that cannot be judged without either seeing the house in person, or having the architectural drawings. 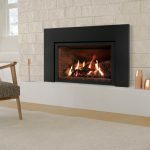 The size and model of furnace that fits your home should be measured including a heat loss calculation, measurement of square footage and installation measures specific to your house. These might include distance from the existing heating system to the exterior wall for venting, cold air return locations, and more. We want you to have the right furnace for your house so you are warm and cozy. That is why we offer free, no obligation, no pressure estimates. Call or fill out the free estimate form to schedule your free in-home estimate. Why would I choose this 96.2 % AFUE gas furnace? You get the best of both – energy efficiency and cost efficiency. The efficiency at 96% means you get energy savings and lower heating costs. 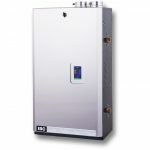 Compared to the modulating furnaces, this model does not have some of the comfort features, but the trade off is a lower price point. This is a great furnace for the money. Repair or replace? How do I know what to do with my furnace? Your furnace was built to last 16-20 years, with maintenance. Most furnaces don’t get the TLC they need, and may start to show wear and issues sooner. Some people prefer to upgrade before the end of life of the furnace to ensure they have the latest furnace technology that will save them the most on their heating bills. Others prefer to repair as long as possible. Our customers come from both ends of the spectrum, and we are happy to help you no matter where your heating preferences fall. As your furnace ages, some symptoms of old age might be new noises, a burnt odor or you just don’t get the heat you expect. These do not necessarily mean you must buy a new furnace, but you certainly have a furnace repair issue. If you are in doubt, we recommend having one of our NATE certified and factory trained service technicians out for a diagnostic appointment. They know all major models and have extensive experience. The diagnostic fee is $99 and our technicians will pin-point any issues and explain them to you. 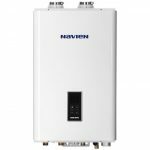 Then you can choose if you wish to proceed to have those issues fixed, and incur that cost, or you can buy a new furnace. We have great financing and your new furnace could cost as low as $40/month on approved credit. To have a furnace service technician out to your house, just call 800-398-4663 or learn more on our furnace service and repair page. Do I have the option to convert to a gas furnace? That depends on your local gas company. If the gas company, say PSE for example, has gas pipes in your neighborhood or on your block, but you aren’t hooked up yet, chances are they can run pipes to your home. There is a cost that the gas company will charge you, and can be a little or a lot based on your proximity to the street gas line, however qualifying homes can get rebates over $3000! That combined with the savings from switching to lower cost natural gas makes switching viable for many homes, and as oil prices go up, this becomes more attractive. It’s an investment we can help you with, so give us a call for more information.